Change the negative perception that all Mechanical Engineering jobs are the same. 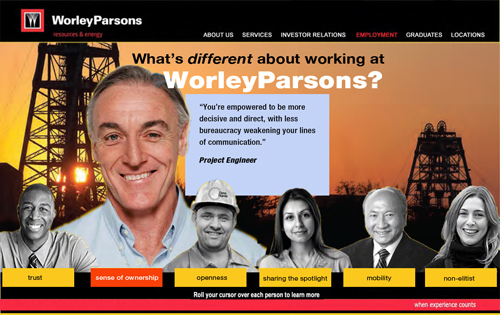 With our unique, proprietary programs, McFrank & Williams helped Worley Parsons learn what, specifically, makes each of their engineering jobs distinctive and how to appeal to applicants who would be the right fit. 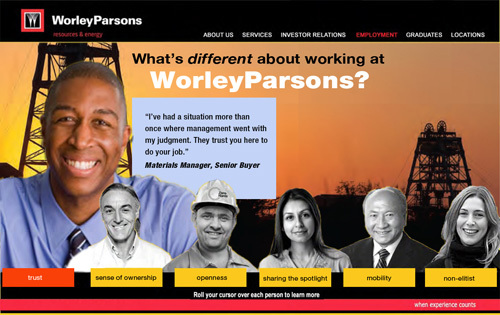 Our compelling and more personalized job descriptions gave prospective candidates a taste of all the reasons why they would feel more valued and self-actualized in the WP environment than they would elsewhere. 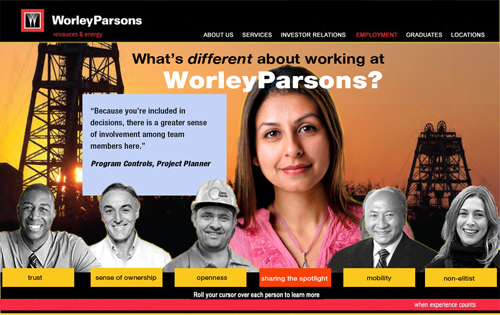 Insights were incorporated into a warm and personable career website. 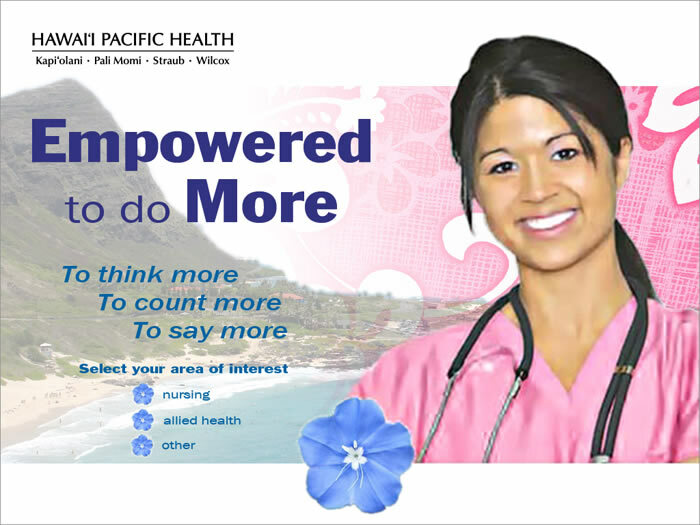 To challenge the perception, among healthcare workers, that the promise of individual empowerment isn't just empty words—in the right environment. Our intensive, proprietary research revealed a particular characteristic of this client's workplace that could serve as a powerful Unique Recruitment Proposition. We further determined how this distinction was manifested in each job family. 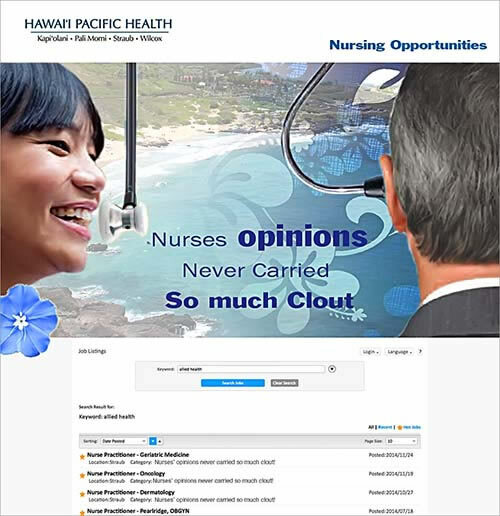 We created ads to demonstrate, specifically, how the HPH culture helps employees, in each discipline, feel more personally appreciated and professionally fulfilled. 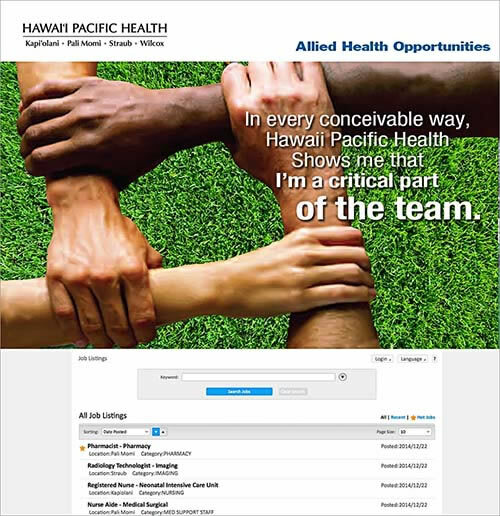 The examples here will show you how this approach clearly defined their organizational uniqueness.